← Travels With Bowie & D.O.G. : Pennsylvania! For the past two winters, I have lived off the map, caretaking a place in the high desert near Cerrillos, New Mexico. 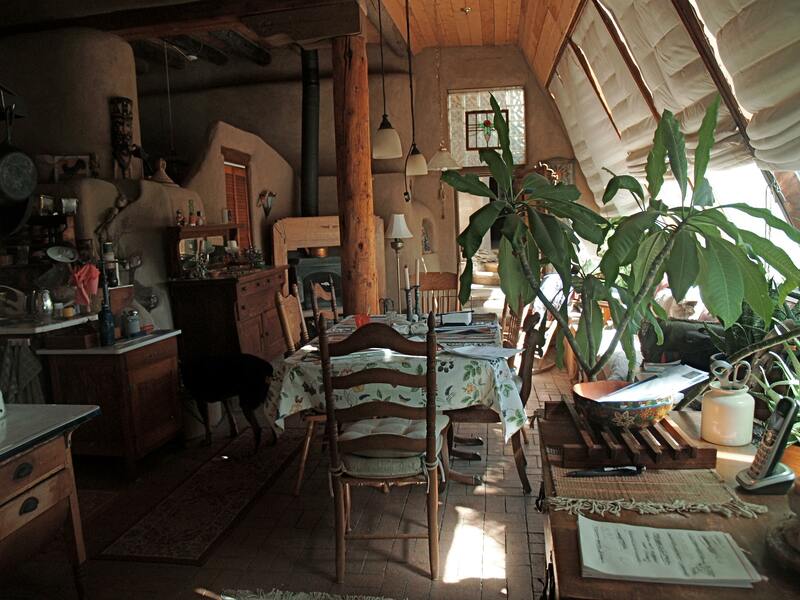 This is more than a house; it’s an Earthship: an off-grid passive solar adobe, adrift on acres of land. This place isn’t connected to the outside world by wires or pipes, only a long dirt road. My power and my water both come from the sky and if I want to run out for milk, it’s a two-hour round trip into Santa Fe. 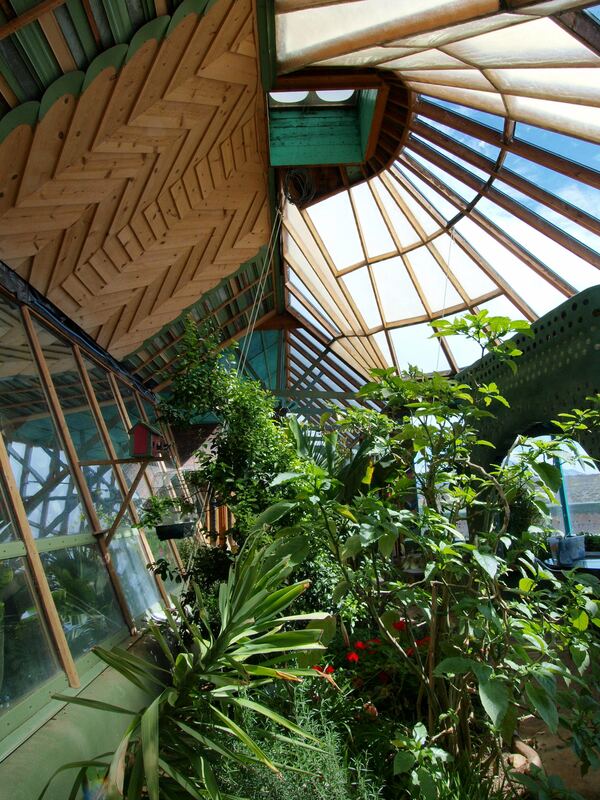 Earthships are a bizarre and beautiful form of adobe architecture invented in the 1970s in Taos, New Mexico by eco-architect Michael Reynolds. Always artful, these homes range in size and intricacy from casitas to castles. Walls are built using stacked rubber tires, packed with adobe as well as empty soda cans and glass bottles. Adobe is filled in between the bottles and then plastered on the outside to form a smooth outer finish. My Earthship is a unique and beautiful Earthship, full of artistic touches and creative flair. The main house was built – by the owners’ own hands – in the early 90’s. Earthship’s have come a long way since then. 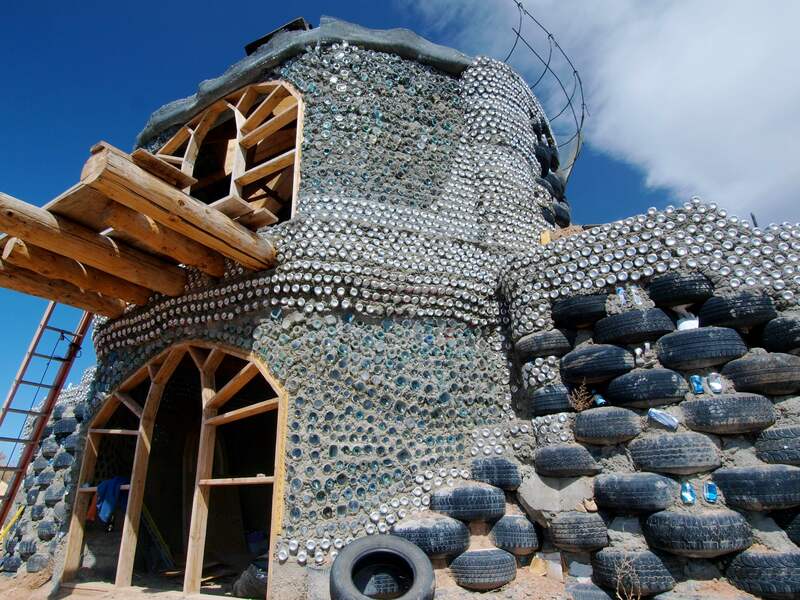 The basic concept of an Earthship is an off grid, fully sustaining, passive solar adobe made from tires, cans and other recycled materials. Within that loose definition exists lots of room for innovation and Michael Reynold has worked hard over the past 40 years to ensure that his original idea keeps evolving. 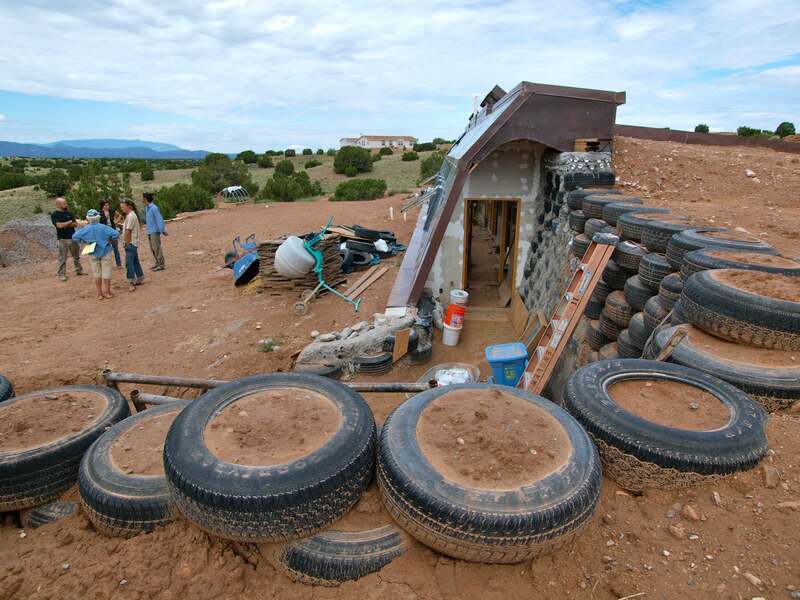 Recently, I had the opportunity to visit a new Earthship being built just south of Santa Fe. Last year, owners Craig and Vivianne commissioned Michael Reynolds to design and build their 1,400 square foot 2-bedroom home. The building crew from Earthship Biotecture did most of the heavy lifting and now Craig and Vivianne are putting on the finishing touches. Earthship sideview. Notice most of the structure is built right into the hillside. Visiting Craig and Vivianne’s Earthship was interesting to see how Earthship construction has changed since my Earthship was built. 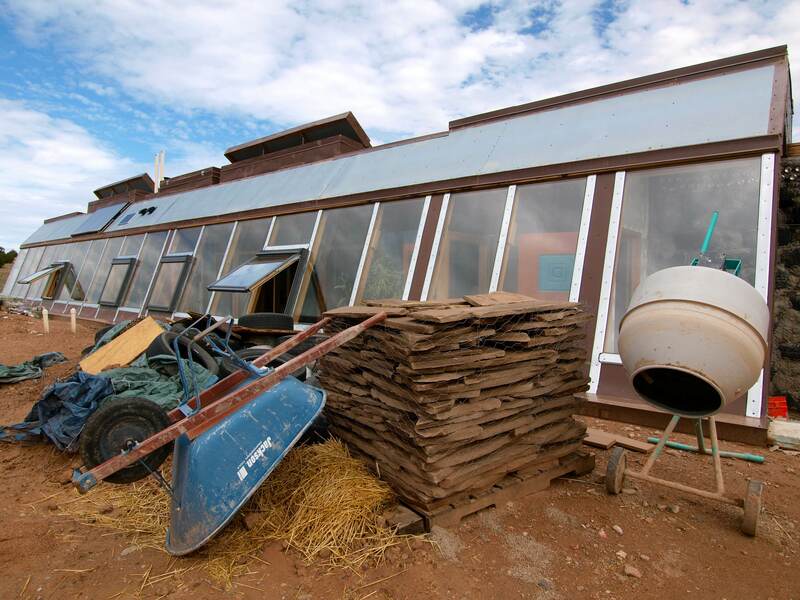 The most obvious difference between the two buildings is the double set of south facing windows in the new Earthship. 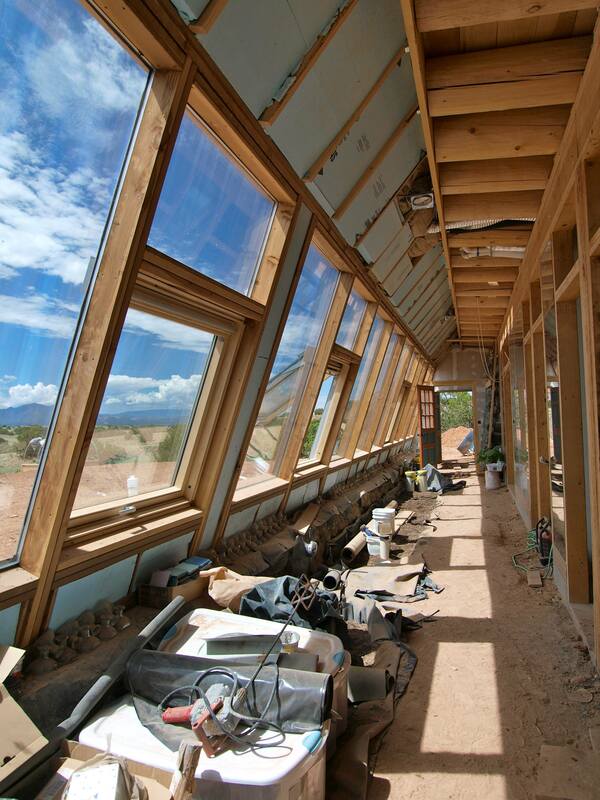 The double bank of windows in the new Earthship serve to help regulate the temperature inside the structure. At my place, the blinds are raised during the day to let solar heat in and lowered at night and on extremely hot days. The new design keeps the greenhouse area, which will be used to grow food, toasty warm year round and the living quarters a steady 70 degrees. Reynolds is so confident in the new design’s temperature regulation that there is no heating source or cooling source for the house. It also helps that the entire living structure is buried into the hillside to take advantage of the thermal mass properties of Earth. With such a huge thermal mass surrounding the living quarters, the inside temperature tends to hold very steady. 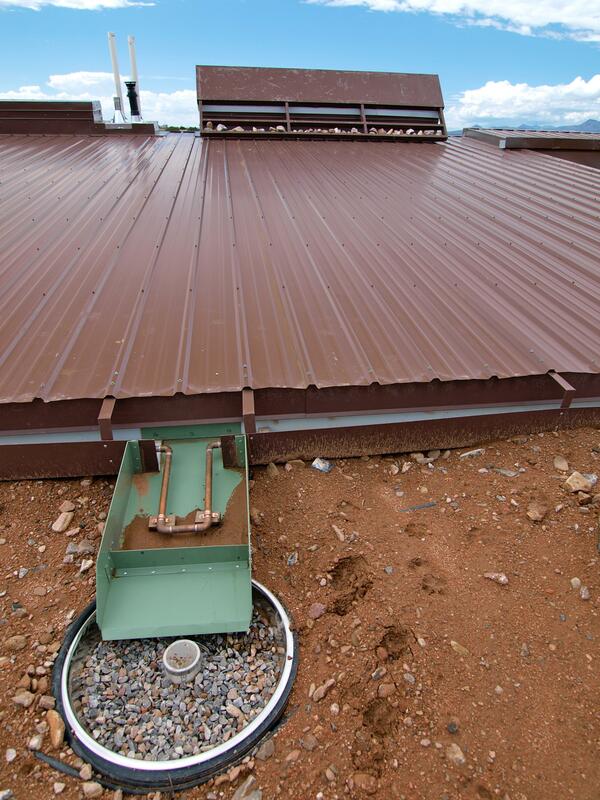 Another major difference between my Earthship and the new Earthship is the rainwater collection system. At my place the rain runs off the metal roof through gutters and into two 1,500 gallon cisterns buried under the front of the house. The new building has the cisterns buried behind the house and the rain runs off the roof and directly into the cisterns, making the system far more efficient than my persistently leaky gutters. Water collected off the roof at my house goes through a fine particle filtration system but no chemical filtration. I buy drinking water in 5 gallon jugs, but I brush my teeth and wash my dishes with the untreated rainwater and have never had any problems. 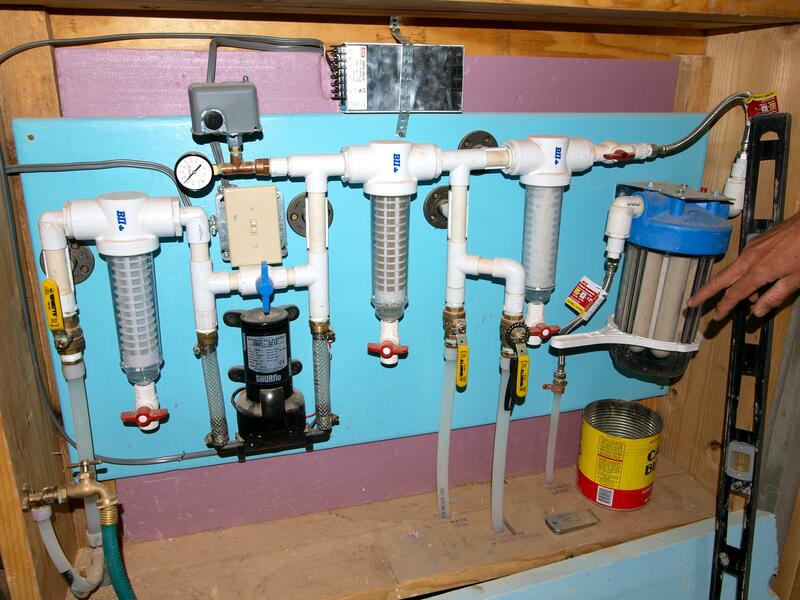 The new Earthships employ a very sophisticated particle, chemical and reverse osmosis filtration system that produces very clean potable water. Both my place and the new Earthship use grey water from the sink and shower to fill the toilets and irrigate the greenhouse (ever think about how insane it is to put drinking water in a toilet bowl? What a waste of clean water!). The only major criticism Craig and Vivianne had of the new Earthship design is that it’s no longer as “do it yourself”. When they owners built my place, they spent several weeks studying with Reynolds before tackling their project on their own. Joe is a handy man, but neither of them had any professional building experience and they managed to get the job done in spectacular fashion without heavy equipment, just a lot of blood, sweat, tears and some serious elbow grease. Craig and Vivianne are very hands on and have put a lot of work into their place, but the new Earthship systems have become too sophisticated for amateurs and they had to hire Reynold’s building crew as well as professional electricians and plumbers. Part of the reason has to do with building permits; their Earthship is the first fully permitted Earthship built in Santa Fe county in the past 10 years and jumping through all those hoops takes some professional guidance. However annoying the permit process may be, it looks like Craig and Vivianne will be able to move into their beautiful, fully self-sustaining home in time for Christmas. Congrats on creating such an awesome home and thanks for sharing! Thanks also to the Ampersand Sustainable Learning Center for arranging the tour as well as all their great sustainable building work! This entry was posted in New Mexico, Photography, Sustainable Living, Uncategorized, Vagabonding 101 and tagged alternative building, Earthship, New Mexico, off grid living, rainwater collection, solar power, Taos. Bookmark the permalink.